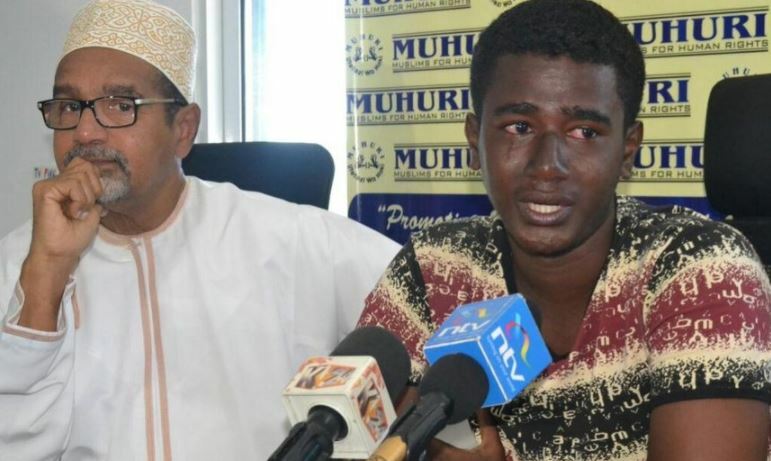 A 17-year-old boy who disappeared on April 6 from their home in Mombasa was not abducted or recruited by militant groups as previously feared. Faraj Omar on Monday finally came clean confessing that he ran away from home after gambling away the Sh20,0000 his mother Safia Mohamed had sent him for upkeep. Safia had left for Muscat, Oman for a business trip last month leaving the form four leaver in charge of the family. When she reached her destination, the mother of two is said to have sent Omar Sh20, 000 for upkeep. However, a week before she could return home, her first-born had blown all the money on betting. A day after she returned, Omar ran away from home to escape her wrath. He lied that he was going for computer classes never to be seen for days. “I left home because I was afraid my mother would ask me about the money which I had spent on betting. I feared her and I knew she would punish me, that is why I decided I should go away from home,” the Arsenal fan told journalists on Monday. “At first I spent Sh5, 000. I thought I would win and return my mother’s cash. But when I played again I lost the entire cash,” the teary boy added. Omar said he fled to Ukunda, Kwale County, using Sh150 he had been given as pocket money. “It was my first time going to Ukunda and I decided to go to the beach. I lived under a small tree just to be away from my mother,” he said. The teenager lived under the tree for a whole nine days, surviving on wild fruits. “I could drink the sea water just to survive as I had no money with me and I was afraid to ask from people as I knew they might harm me,” he added as he sobbed uncontrollably in front of his mother. At night, he slept in boats at the beach. On Sunday, ten days later, he finally gathered the courage to reach out to his mother and apologise. He reached out to a Good Samaritan who helped him reunite with his mother. “He was very weak when I saw him. He complained that he was hungry and that is why I decided to help him. We waited for the parent who contacted me through my phone and we met at the main bus stage,” said the Good Samaritan. When his mother finally met him, she fainted and had to be rushed to a hospital. “I thank God I managed to get my son. I have gone through a hard time in the last one week. I have not been able to sleep. These new games are hurting our children,” said Ms Mohamed. “I’m lucky because my son was not dead, some commit suicide because of betting,” she added. Muslims for Human Rights (Muhuri) chairman Khelef Khalifa questioned why an under-age was allowed to gamble. He said policy governing betting industries must be reviewed and stringent measures put.